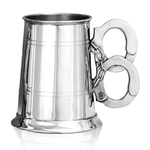 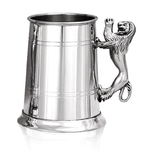 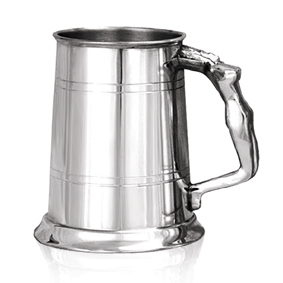 This beautiful one pint pewter tankard has a polished mirror-like finish and is perfect for engraving. 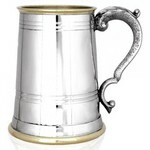 It has a straight sided body and features a solid handle in the shape of a nymph. 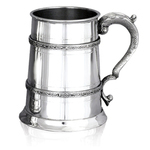 Size: 13 cm high and 8 cm wide.